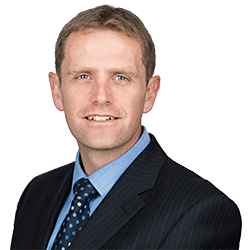 Mark is a Partner in the Private Property and Agriculture team specialising in non-contentious agricultural and residential property law. Mark deals with farm sales and purchases, house sales and purchases, auctions, agricultural landlord and tenant matters, residential landlord and tenant matters, re-mortgages, the basic payment scheme, easements and covenants. Mark joined Clarke Willmott in 2001 after studying and then a year working on a farm in Somerset. He trained with the firm and qualified in 2003. Mark is a member of the Agricultural Law Association. Acting for one of the largest landowning institutions in the country in a variety of disposals. Sale and purchase working farms as a going concern. Disposal of farms on retirement/change in farming policy. Sale and purchase of a wide range of residential property, freehold and leasehold, in both town and country, often involving listed dwellings. Sale and purchase of large estates subject to secure/long term agricultural and residential tenancies. Auction sales of large areas of agricultural land and farms in multiple lots. Advice on farm payment issues. Acting for both landlords and tenants in relation to the surrender and re-grant of tenancies subject to the Agricultural Holdings Act 1986. Acting for both landlords and tenants in relation to the grant and variation of Farm Business Tenancies. Voluntary first registrations of large estates. Letting of residential property with a particular focus on the issues arising from the security of tenure given to farm workers. Contract farming and share farming agreements.